Both FlexCut Sticky and FlexCut Sweet are 100% polyurethane films. Other than that one similarity the two films are very different. Each product has its own unique performance properties. And these differences make one film a better choice for a specific application versus the other. Still both films have their place in the product mix. And both have their reasons for being. The most obvious difference is that FlexCut Sticky has a sticky carrier or liner, whereas FlexCut Sweet has a non-adhesive liner. Why is that important? The sticky liner is great for cutting small letters and fine detail. What’s more, if you happen to goof up when weeding the matrix and pull up a piece that should have stayed down, you can replace the piece where it belongs. You can’t do that with FlexCut Sweet. Available in 33 colors FlexCut Sticky allows for cutting of fine detail. Why, then, would you want to use FlexCut Sweet? Part of reason is that FlexCut Sweet is thinner, more elastic and has a softer hand than FlexCut Sticky. That makes the film a better choice of larger graphics, such as numbers and big, block letters. With its non-sticky liner, you can also stack one graphic on top of another without the graphics sticking together. For small letters and graphics and fine detail, use FlexCut Sticky. For large numbers and big, block letters, use FlexCut Sweet. To help you select the right film for the application, please refer to the Heat Transfer Films Product Application Chart. FlexCut Sticky is a PVC free, water-based 100% polyurethane heat transfer film. It features a low tack sticky carrier, which allows plotter cutting of fine detail and easy weeding. FlexCut Sticky is suitable for decorating cotton, polyester and cotton/polyester blend fabrics. Available in 33 colors. Athletic Gold is the latest addition to our color range. Low temperature (240⁰F) hot melt, designed for heat sensitive fabrics. Features a low temperature (240⁰F) polyamide hot melt adhesive which adheres to nylon and coated fabrics. When exposed to the heat of a heat press, it inflates with air creating a 3D effect. Available in 6 colors. Designed for sublimated polyester fabrics (sports jerseys). Includes an exclusive “SubliBlock” layer that prevents dye migration from discoloring heat transfer appliques. 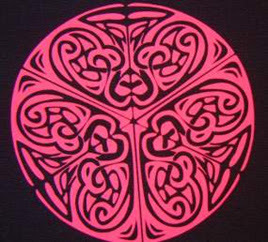 FlexCut GITD will glow in the dark after exposure to daylight or artificial light. FlexCut Sweet approximates the look and feel of screen printing in a heat transfer flex film. Made of 100% polyurethane, FlexCut Sweet is very thin, soft and stretchable. FlexCut Sweet is suitable for decorating cotton, polyester and cotton/polyester blend fabrics.